Tub chairs are a comfortable and stylish addition to any environment, but they can be expensive, especially real leather tub chairs. Fortunately there are a number of options for anyone seeking to buy cheap tub chairs. 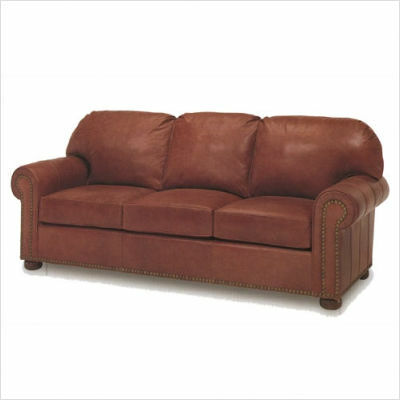 Leather Tub Chairs. By far the most expensive type of chair and best avoided if you are looking for a cheap chair. Designer prices for chairs like these can easily reach four figure and beyond. Prices start at $300 and up. Leather Faced Tub Chairs. 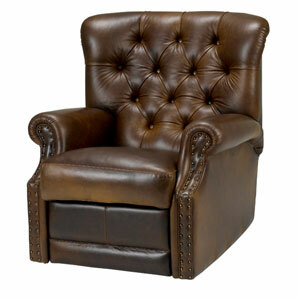 A leather faced tub chair is surprisingly much cheaper than a full leather alternative. Prices range from $200-300. Cloth and Fabric Tub Chairs. This is a very wide category and prices range accordingly. 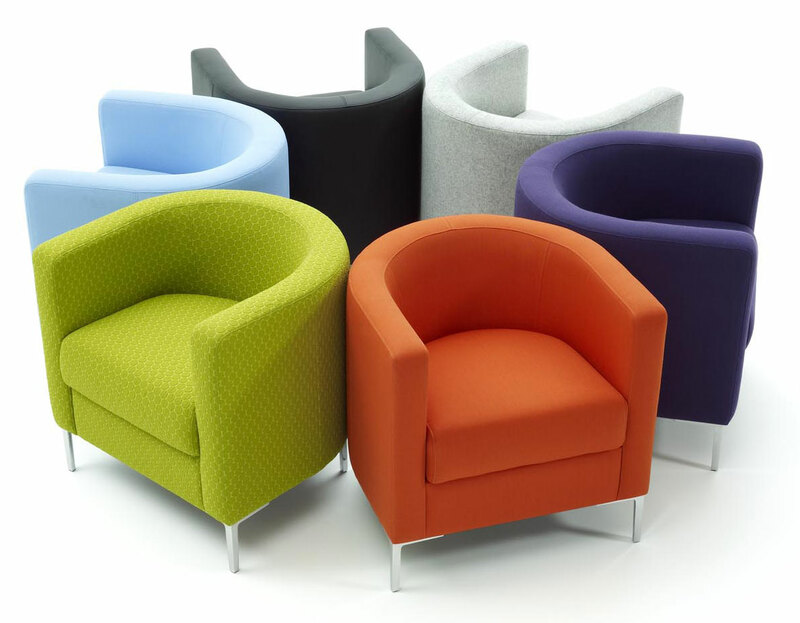 However some guidelines can be issued; microfiber and other specialty fabric tub chairs will tend to be the most expensive with cotton or linen tub chairs being toward the bottom of the range. Microfiber Tub Chairs. Microfiber is a great compromise for those looking for a discount tub chair. Microfiber is comparatively cheap, is highly stain resistant and wears well. It is not the absolute cheapest of the range however and expect prices to be in the range of $250-350. Chenille Tub Chairs. Chenille is a very popular fabric as its soft feel complements the comfortable nature of a tub chair perfectly. Prices range from $200-300 but beware that some types of chenille wear very easily, especially at the front of the seat and the bottom of the back rest. Ask the vendor for information about fabric types. Faux Suede Tub Chairs. Can be very inexpensive and look good when purchased. Again wear can be an issue, but if the chair is not expected to receive heavy use then these can be a real bargain. Prices range from $150-250. Faux Leather Tub Chairs. Another bargain item, but beware lack of breathability in the seat material and possible early cracking in the surface. Look to see how long the guarantee is and buy accordingly. Plastic Tub Chairs. I have to admit a bias here. Tub chairs are designed to be comfortable and a hard plastic chair is not my idea of comfort. Still, this type of chair is inexpensive and so you can expect to pay $100-200 for one. Note: If you are looking for cheap tub chairs then it is best to avoid designer tub chairs as a designer name will normally multiply these estimated prices by a factor of 3-5x. Purchase of a chair from a factory outlet, or other source direct from the manufacturer, will often present an opportunity for significant saving over what is available from local shops and even some online outlets. The reason that this is the case is that furniture has what the trade calls a high label price, but the volume of sales can be low. Shops incur significant expenses in rent of floor space and so on to maintain a warehouse. These factors mean that shop prices are often much higher than the price of the item direct from a manufacturer. The down side to buying direct is that often many factory outlets do not have the same level of customer service, either at purchase time or later if anything goes wrong. Folding chairs and table do not agree that furniture should ever be purchased solely on price. The dealer that offers “tub chairs cheap” will not tell you that buying discount today can often cost more in the long run. Better to buy a quality second hand item than buy a discount chair new. For example, tub chair leather upholstery on budget items is often low grade and this means it will require extensive treatment to look acceptable. Unfortunately these chemical treatments often cause it to age rapidly. Buying cheaply on day of purchase often ends up costing more in the long run. The wise purchase decision is always based on build quality and therefore this article is presented for informational purposes only.